Simon Joannou is the Principal teacher of Marrickville Yoga Centre. He is one of the youngest senior Iyengar teachers in Australia and has practiced yoga for over twenty years. At Marrickville Yoga Centre, Simon leads a team of experienced, dedicated and knowledgeable teachers including the centre’s co-principal Hasu Opa Clark. Together they deliver affordable, high quality Iyengar classes that are unique to other forms of yoga taught in Australia. So why choose Marrickville Yoga Centre? Classes at Marrickville Yoga Centre offer an intense physical workout, helping to create a state of mindfulness. Mindfulness has enormous mental health benefits, reducing stress and fostering mental alertness. Teachers at Marrickville Yoga Centre deliver a variety of postures, ensuring the classes are vibrant and interesting. 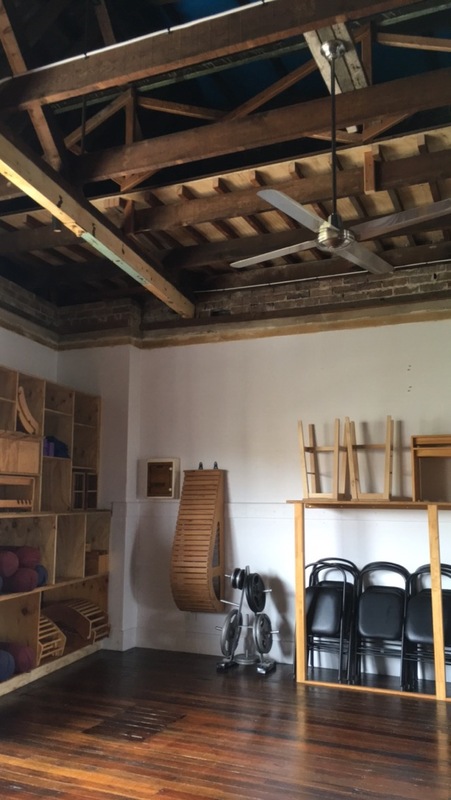 The school also operates on a six week asana cycle within the 6 week beginners course, meaning a broad range of postures are covered and students can build their yoga skills over time. The teaching approach at Marrickville Yoga Centre is informed by a high level of training in therapeutic yoga. Teachers have the knowledge and expertise to help students make use of props and ensure students work at the level most suitable for them. Classes at Marrickville Yoga Centre go for 60 minutes or more. This makes for a more focused practice, as well as being better suited to students juggling busy lives. The verbal instructions given by teachers at Marrickville Yoga Centre are precise, detailed and practical. Teachers will often demonstrate poses to help students develop awareness and build skills, with individual physical and verbal adjustments also offered. This style of teaching is student-centred, helping students experience the maximum benefits of yoga. We offer a range of classes to suit all ability levels. Find one to suit you here.